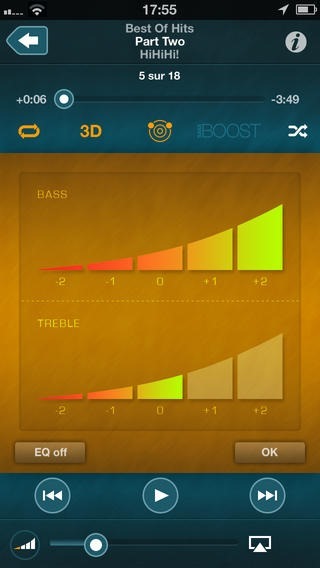 This App Brings 7.1 Virtual Surround Sound To iPhone Like Never Before! The Apple iPhone was seen as a revolutionary product, but also an evolutionary one by the same token since it was introduced off the back of the success of the iPod range. In today’s world concerned with apps and shot-taking abilities, many of us don’t hold our iPhones in as high a regard as a music player, often viewing it as just as standard a feature as making a call or sending a text. But if you’re the kind of person that still takes your audio experience rather seriously, you may interested by the app Audio-3D Player 7.1, which offers a richer, surround sound-like experience. It’s hard to tell, from the name of the app, whether it’s a pair of headphones, a set of speakers, or a piece of software, but in lieu of a more appropriate title, it is, in fact, the latter. 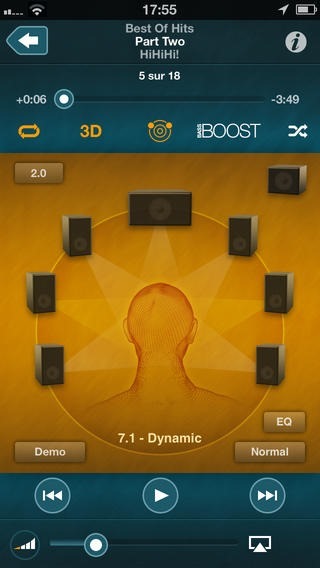 Free for a very limited time, Audio-3D Player 7.1 tweaks your audio experience to give the impression that you’re sitting in a room with speakers all around you, rather than with your earbuds or headphones. There are numerous different settings one can try in order to achieve the desired sound, with a 2.1 configuration right the way up to 7.1 for the full-on, all-singing home cinema effect. One of the most striking things about Audio-3D Player, besides its rich feature set, is its professional and vibrant interface. Everything looks very high-end, and while it’s not the kind of app to suit the fussiest of audiophiles, it’s definitely worth checking out if you want to try and get the most out of your music. The app is specially tailored for particular headphones, from the most popular like Apple’s basic earbuds to some of the market darlings, like Beats by Dr. Dre, as well as some other, more reputable brands in between. Similarly, it’s tailored to the iPhone 5, but you should get some joy even if your device happens to meet a different specification. 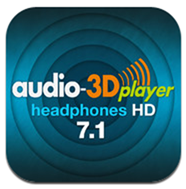 We’ve covered Audio-3D HD Player for iPhone, but Audio-3D Player 7.1, as the name implies comes with virtual 7.1 audio support and a bunch of other differences. Be sure to check out both. Give it a blast, and leave your thoughts and comments below! UPDATE x1: This app is no longer listed as free on the App Store.